Renowned best-selling author Jon Meacham signs copies of his latest book “Thomas Jefferson: The Art of Power” at The University of the South Bookstore. 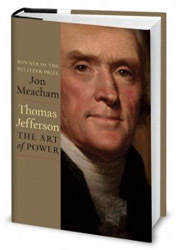 Pulitzer Prize-winning author Jon Meacham recently visited The University of the South Bookstore to sign copies of his New York Times best seller, Thomas Jefferson: The Art of Power. Drawing on original research for his latest book, Meacham presents a new portrait of the nation’s third president and author of the Declaration of Independence. 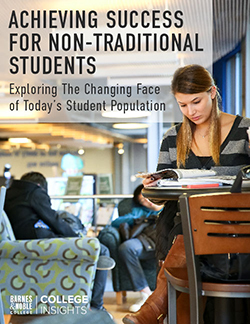 The Tennessee native and 1991 alumnus of The University of the South (also known as Sewanee), Meacham is a frequently featured author at the University Bookstore. In addition to his writing career, Meacham is an executive editor at Random House, contributing editor at Time magazine and former editor of Newsweek. He is also the author of several New York Times best sellers, including the Pulitzer Prize-winning 2008 biography, American Lion: Andrew Jackson in the White House. 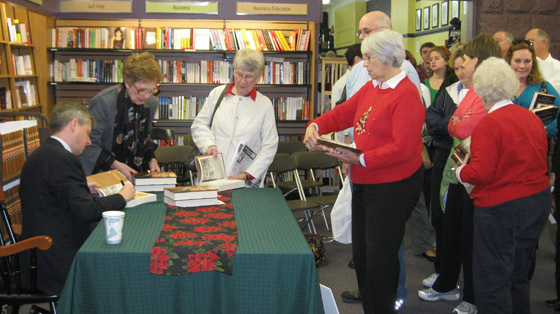 After addressing a private audience on the Sewanee campus prior to the bookstore event, Meacham later spent over two hours meeting fans and signing copies of his latest book in the bookstore. The event was such a success that the store sold out of every copy of Thomas Jefferson. A true southern gentleman, Meacham promised to return to the store over winter break to sign additional copies.